Over the course of this bracing and brilliant debut season of The Americans, we’ve been introduced to all sorts of agents. There are federal agents, Soviet and travel agents (Philip and Elizabeth happen to be both), and a large assortment of single, double, and now, thanks to Nina’s bureaucratic gymnastics, triple agents. It’s a tricky grammar thing, but being an agent isn’t quite the same thing as agency: The former involves carrying out the business of another, the latter is the freedom to carry out business for yourself. In many ways, being an agent — of whomever — is easier than freelancing: You were merely following orders when you shot that innocent man in the back of the head or when you held a pillow over a poisoned teenager’s face or when you booked that couple on a Carnival Cruise. You say the security guard was just doing his job when he asked me to get in the car? Fine, then he should understand that I was just doing mine when I put a bullet in his brain. Doing dirt for others is a good way to distance yourself from the stains on your own clothes, the blowback on your hands. Ideally, being an agent means immersing yourself in something larger, something noble, and, if you’re lucky, losing the uglier bits of yourself in the process. But here’s what The Americans showed us these past 13 episodes: You can’t hide from who you are or gloss over what you’ve done. It doesn’t matter how many wigs you own or how many vows you take and break. People are judged on behavior, not intentions. When our assortment of increasingly desperate characters took action this season, it didn’t matter in whose name that action was taken. All that mattered was that the reaction, when it came, arrived pointed directly at our antiheroes’ fragile hearts. Philip slept with Irina, which made Elizabeth kick him out. He stayed the night at Martha’s, which led to Amador stabbing himself, which led to Gregory, Elizabeth’s lover, being shot, and, eventually, Zhukov, her father figure, being killed. Forget titles, allegiances, culture, or creed. When it came down to it, when it mattered most, all of the characters on The Americans were agents of their own destruction. Now hold on, you say. Let’s set the doomsday clock back a few paces! The only thing that was well and truly destroyed in last night’s gripping season finale was a plate or two of eggs Florentine. 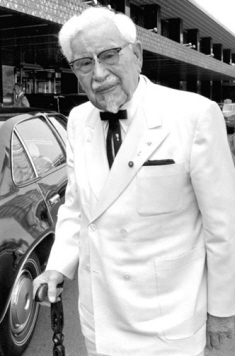 Despite an outrageously intense setup — which, in the case of the stakeout at the Weinberger house, I mean quite literally — “The Colonel” ultimately preserved the status quo in most ways. Stan has yet to get a read on his mystery couple, Nina is still in play, and Martha remains so blissful in her sham marriage that she’s ready to go wallpaper shopping. A decade of fan service in finales — chock full of big deaths and even bigger cliffhangers — may have left some feeling more cheated than Sandra Beeman, but I didn’t mind the anticlimax. For one, the excruciating buildup to, and car-chase from, the gunfight at the GOP Corral was plenty exciting. I also think those hunting for widescreen action are looking at the show through the wrong set of oversize glasses: The firefights and fistfights, when they occur, are there to flavor the drama, not define it. (Consider them the spicy khrenovina to each week’s sturdy pelmeni.) This is a show about relationships, first and foremost, and last week’s impossibly cruel Clark/Martha wedding was this season’s “Where’s Wallace?” except in reverse: It would’ve been far less crazy to knock her off than it was to build her hopes up even higher. With new episodes just nine months away, why root for the plates to start breaking when it’s so much fun watching them spin? Besides, it’s not as if The Americans is in need of any new wounds. It’s in the quietest moments that the show is most devastating, when old resentments flare up and older aches become impossible to ignore. I was covering my eyes along with everyone else during Philip’s frantic drive to rescue Elizabeth — kudos here to director Adam Arkin making what could have been a broad-stroke action sequence feel impossibly grim and claustrophobic — but I was spray-painting abort signals on my apartment walls during their fumbling last supper together with the kids. Henry wanted to watch the Stanley Cup playoffs, Paige wanted her family to be together, and they both got their wish: The four of them scooched on the couch, passing the popcorn. For a few blessed hours, the Jenningses were all looking in the same direction. “I know it’s not what any of us think is ideal,” Elizabeth said in the kitchen, but she was wrong: None of them could’ve possibly been happier in that moment. Elizabeth was wrong a lot last night, and it was indicative of a bigger problem. Again and again this season, we’ve seen her hold fast to a higher power — in this case, the Kremlin — while patently ignoring the facts on the ground. One of the reasons she loved Gregory so much is that he was smitten with the version of herself she loves to project — dedicated careerist, unsentimental badass — and because he lived far enough away not to see any of the cracks in the facade. Sacrificing herself to meet the mysterious Colonel so that Philip and the kids could start a new, miserable life in Ottawa sounded noble, but it was really self-serving. (“We have to follow orders,” she said, sort of pathetically, sounding like a child stuck playing a game of Monopoly with cheaters.) As soon as Elizabeth opens herself up to her emotions — her love for her kids, her need for her husband — it’d be like the first shipment of blue jeans and Beatles tapes to Moscow. If she allowed that to happen, her war would be over, regardless of global politics. It was a clever contrast that while Elizabeth dissembled, Claudia came clean — if she ever really had been lying at all. “I know you better than you know yourself,” she said to Elizabeth, and she was right. After all, one of them was able to take an American life in exchange for Victor Zhukov’s. The other talks tough in arcades and diners but, when the gun was in her hand, couldn’t stop shaking at the pointlessness of it all. It’s hard enough to play misguided confidence and have it seem heroic, but what Keri Russell managed in her basement scene was even more impressive. Alone with her secret tapes, the mask came off. Not the one with the prominent scar that she used to bait Richard Patterson, but the one she wears every day. It was her mother’s voice that got to her, finally. “Your family is so beautiful,” the voice said. “You look happy.” In that moment, on that cold concrete floor, the batteries on Elizabeth’s ideology finally ran out. It no longer mattered what stories she told herself: that she was abandoning her mother for the glory of the motherland, that Philip was her coworker and not her husband, that Paige and Henry were merely office supplies. Reality hit her harder than the bullet from Stan Beeman’s gun. “You always did insist on the truth,” said the voice on the tape, drowning out the voices in her head. It’s this heartbreaking, occasionally heart-stopping disconnect between what we hope and what we know that fuels so much of The Americans, and it’s made the show the most emotionally rich series on television. Martha believes she deserves a man like Clark, and so she refuses to look closely at the flimsy clips and glue holding his story together (not to mention those maintaining his hair). Both Martha and “Clark” are equal and willing participants in a far-fetched fantasy. That fiction survives for another season, but Elizabeth’s won’t; for a time, she insisted that merely closing her bedroom door was enough to keep her kids away from the truth and Philip away from her heart. But that was a lie bigger than Reagan’s ability to put lasers in space. In the fraught final moments of the episode, Elizabeth, stripped naked on a hospital gurney, had more than just a bullet pulled out from inside of her. In that instant, she was Nadezhda, which is really who she’s always been. “Come home,” she said, in Russian. But Philip was right next to her. He was already there. The Americans’ pilot ended with a Phil Collins song. The season concluded with an even better music cue from another Genesis frontman: Peter Gabriel’s jaunty satire “Games Without Frontiers.” It also left us with uncertainty, some good, some less so. (No uncertainty about the advances in Soviet wig technology, however. If Clark’s ’do can survive Martha’s ecstatic tugging, then it can survive World War III.) I loved Paige’s first recon mission into the secret wilds of her parents’ lives. Teenagers always think their moms and dad are frauds. What will happen when Paige finds out hers really are? The vagueness around Claudia’s potential reassignment was less welcome. Margo Martindale signed to do a high-profile comedy pilot at CBS this year, which, if it’s picked up, would take priority over The Americans. (Not inking her to a multiyear contract from jump street was one of FX president John Landgraf’s rare missteps.) This is a real shame; after watching her recent episode of New Girl, I think even Martindale herself would agree that her strengths lie elsewhere. Claudia evolved into one of the show’s more fascinating characters and Keri Russell’s most exquisite scene partner. Should she return, she’d no longer be a foil for Elizabeth as much as a warning; she’s the end result of a life of self-abnegation, blind loyalty, and forms with 27 sections. She’s the haggard face of the glorious future they were promised. But to paraphrase the Colonel, the future for us is bright. The Americans just completed the best first season of any show since Homeland; there wasn’t a dud in the bunch. Showrunners Joe Weisberg and Joel Fields are onto something special here, and I’m grateful that their network seems to know it, too. I have a feeling ratings for the second season will be up considerably after a summer of word-of-mouth and binge-watching flips more assets to their cause. All good cable dramas — hell, all good dramas — run on lies, the ones we tell ourselves and the ones we tell others in order to survive. But only The Americans takes the time and interest to consider the far more interesting flip side to all the falsehoods. Only The Americans examines just why it is we choose to believe those lies and then doesn’t look away from all the terrible things that can happen when the choice is suddenly no longer ours to make.